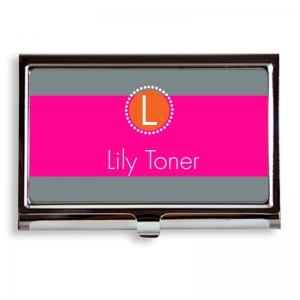 Our Monogram Girl Business Card Case or Holder makes a perfect gift item for the trendy professional, our metal business card holders have a contemporary, slimline design. The hinged cover will be decorated with custom color, font and text frame. 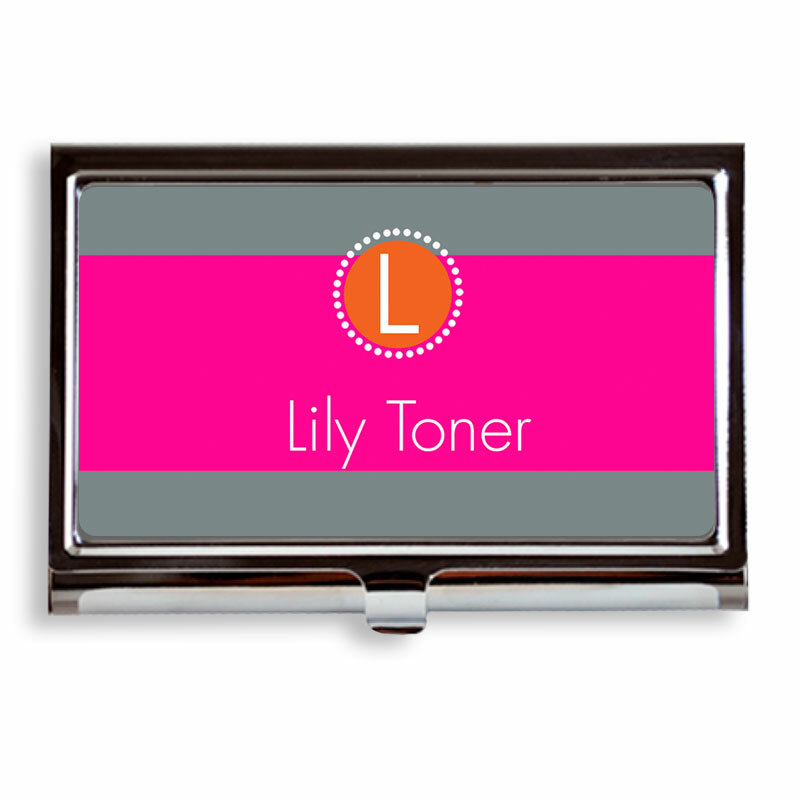 The velvet-like interior of the business card holder accommodates up to 20 standard 3" x 2.5" business cards. Cards are stored securely in sliding snap closure.